We have gone a sunny yellow and gold for our Sereni & Shentel packaging. 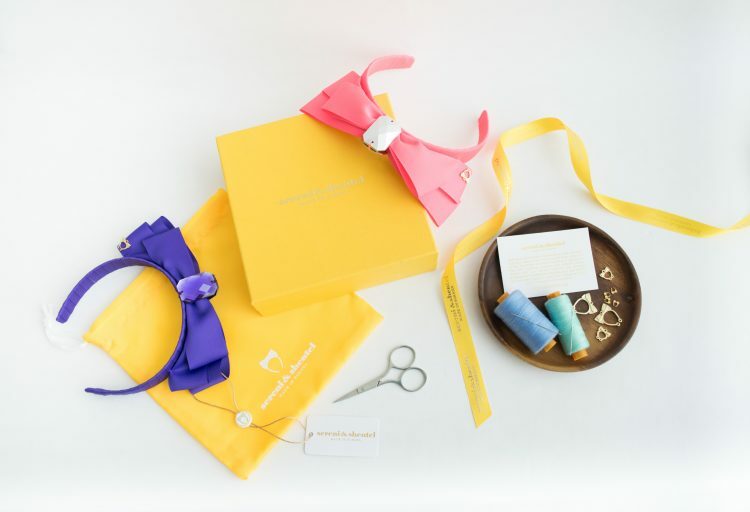 All customers ordering online are no strangers to receiving their headbands in our yellow pouches packed in our signature yellow and gold Sereni & Shentel box. We offer Free delivery to all orders made within Malaysia. We use a private courier company who hand deliver our products to your door. It is important that you let us know your phone number when you check out as the courier company will call you when they make delivery. All our 2012 and 2013 headbands are now legally trademarked with our 24 carat gold plated or rhodium Kuching Cat charm, and security tagged. This is a sure way of telling if you have bought a genuine Sereni & Shentel product. Wear your genuine Sereni & Shentel headbands loud and proud!